These events are hosted by Rob DiStefano. 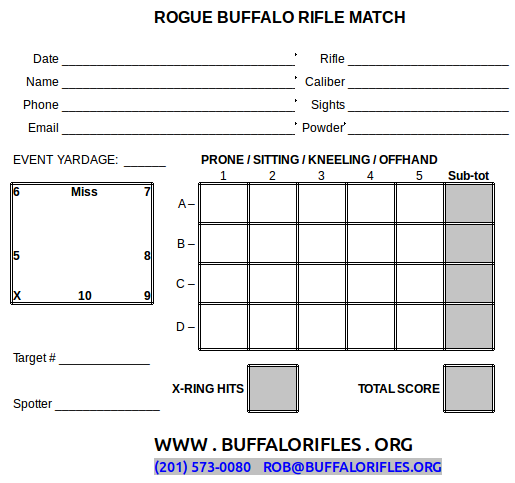 These "rogue" matches are informal and run within the range rules, physical bounds, and time constraints of normal Cherry Ridge Range member shooting. Non-match shooters may be shooting alongside match shooters. All existing range rules for safety and shooting are in effect, as always. There will be pit scoring. The object is a fun match for competition, the awareness/promotion of large bore single shot 19th century type rifles, and for increased match participation. These special matches are open to all ANJRPC Cherry Ridge club members. Non club member guests are welcomed if signed in and accompanied by a club member, which requires a $25 guest fee range day pass (note: maximum of two guests per club member, minimum age is 10 years, all children/young adults 10-18 years must be supervised by a parent or guardian). ANJRPC Cherry Ridge Range Rules are always in effect. X ring . . . . . . . . . . 2.85"
10 ring . . . . . . . . . . 5.85"
9 ring . . . . . . . . . . 8.85"
8 ring . . . . . . . . .  11.85"
7 ring . . . . . . . . .  17.75"
6 ring . . . . . . . . .  23.85"
5 ring . 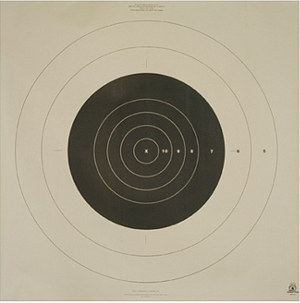 . . . . . . . .  29.85"
Eye and ear protection must be worn on the firing line and in the target pits. 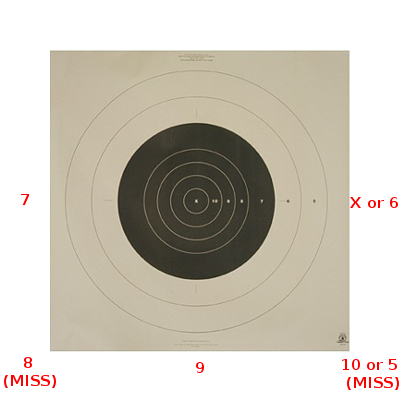 Shooting squads are three persons - shooter, scorer, target marker - each person takes their turn at one of these tasks. Each shooter fires all 20 rounds for score (5 sighter rounds are optional), then squad tasks are exchanged until each squad member has shot for score. Walkie talkie communications are used to assist with target marking and squad changes. ... then the target is sent up to receive the next shot. 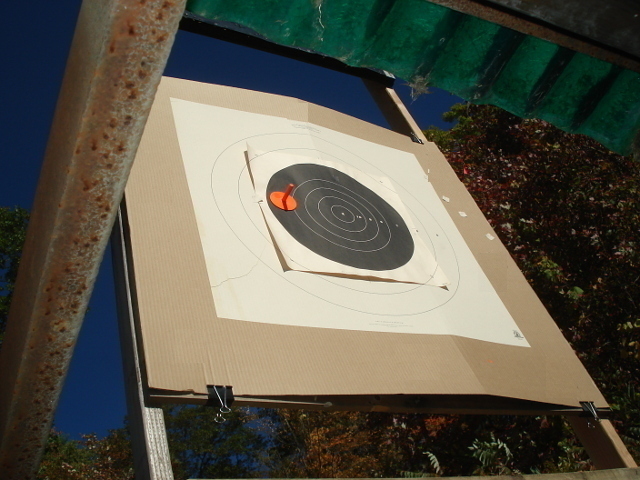 When the next bullet hits the target, the target is pulled down, the shot marker is placed into the new hole and the previous hole gets covered up with a dot pasty - black for the center bull and tan for the rest of the target face - the red square clip is moved (if need be) to show the current shot score value. The current minimum RIFLE cartridge is .40 caliber. Lead bullets (pure or alloy) only. Iron sights only (no scopes or red dots). Powder - black powder, black sub, smokeless or duplex loads. Prone, sitting, kneeling or off-hand shooting, your call. 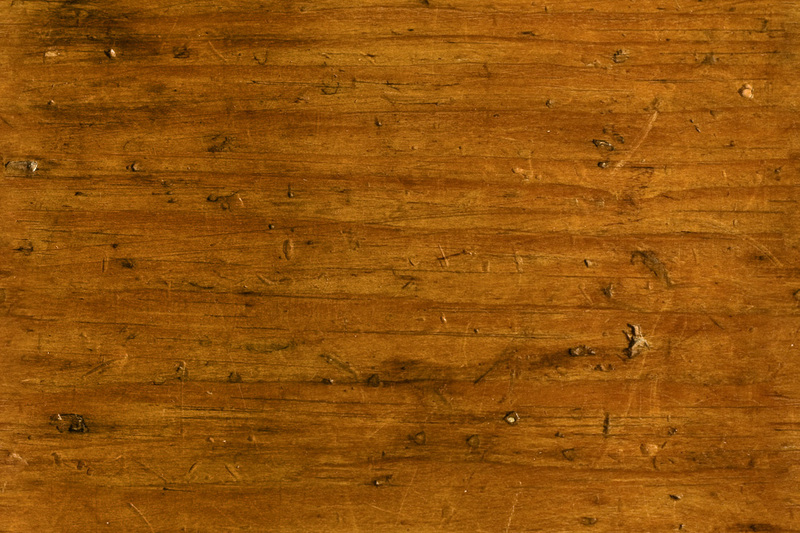 Support by cross-sticks or slings only, no bench shooting. Just show up with your rifle, ammunition, shooting accessories, spotting scope, ear and eye protection, and your good safety consciousness. Match items would be provided as needed - target faces, score cards, pit communications, and awards. These are all typically 200 yard matches, but we're planning on eventually having at least one Rogue Match at the 300 yard range and take advantage of both the longer distance and covered shooting shed - so get a 300 yard sight mark! 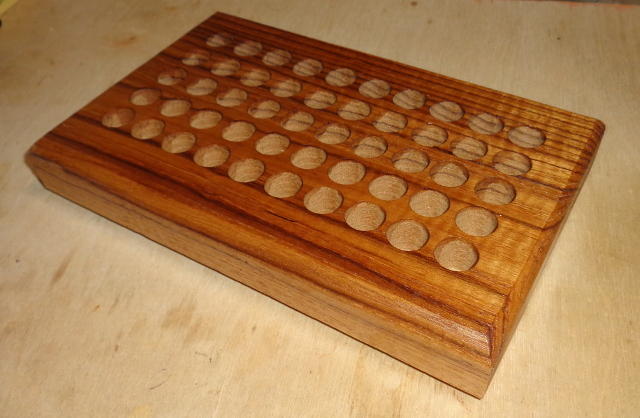 A typical 1st place Rogue Match award - A fifty round figured hardwood loading block, will handle most rifle calibers and is perfect for .40 thru .45 cartridge calibers.